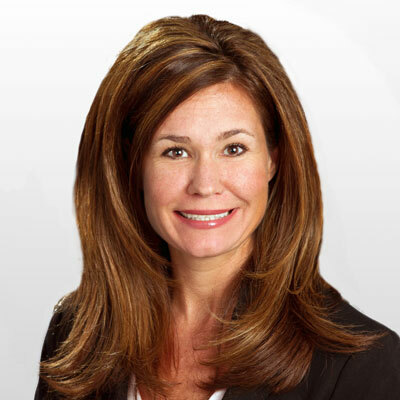 Margie Sims leads the sales and channel teams and overall strategy for Dizzion. Prior to her arrival at Dizzion, Margie spent 16 years in various sales and sales management positions at ViaWest. Her most recent role there was Vice President of Sales, Central Division, where she was responsible for the overall development, strategy and customer satisfaction in the Colorado, Minnesota and Texas markets. Margie is dedicated to growth for women in technology and helping build the future workforce. She Co-Chaired the Colorado Technology Association's C-Level @ A Mile High event for five years and has been the Co-Chair for SIM Women, an organization designed to build and foster a collaborative community of passionate, determined, driven women. She is on the Board of Directors for KidsTek, a group focused on increasing the technology literacy of students at Colorado's highest-needs schools through innovative enrichment programs and free college credit programs. She is also a member of Cloud Girls, a not for profit community of female technology advocates dedicated to educating themselves and their stakeholders about the vast and dynamic cloud ecosystem. She holds a Bachelor of Science from Arizona State University and enjoys spending time with her two active boys. As the one who sets the tone and direction for Dizzion's sales team, including our channel-focused team, I made the decision to refine our channel focus over the past year to really target master agents. A significant portion of our leads and opportunities come from the channel and after taking a closer look at these it made sense to focus our efforts were we get the biggest bang for our buck, which is with master agents. So over the past year I've worked closely with our channel team and directly with partners and prospective partners to drive engagement and agreements not only an opportunity standpoint, but from a partner standpoint. I'm also really focused on sustaining relationships to keep partners and clients happy and grow new and recurring business through the channel. My main goal is to drive more channel generated business. We're going to do that through continuing to bring on more master agents, but also work in some guerrilla tactics like road shows and alliance partnerships that will allow Dizzion to be more present and increase its market awareness and reach. We've laid a strong foundation over the past year and in the next year we plan to build aggressively on that foundation. CRN Women of the Channel 2017. 2016 was a big year where Dizzion's channel approach really solidified and grew aggressively, which was recognized by CRN. I work closely with Jen Harding who runs SIM Women and she astounds me every day. Besides heading this amazing branch of the Society for Information Management, Jen also recently started an incredibly successful talent acquisition company by herself and sits on the board of KidsTek. She funnels all her dedication, passion and drive into such great causes that have such a positive impact on those how need it most. She's an absolute dynamo and I honestly don't know how she does it all! Don't underestimate the power of networking. I did it when I was young but don't think I really understood its power and importance, particularly building networks of women. Build you ecosystem, have trusted advisors and create strong relationships with other passionate, smart, driven women. Having those relationships is very powerful. When I was younger I focused on building relations with the men I worked for, but female relationships are the most powerful relationships I have now and I don't think young women get that. I work closely with our marketing team, but I'd like to understand more about digital marketing. Things like content marketing, SEO, digital ads, all these buzzwords. The way that we market and generate business now is very different than it was 20 years ago and I'd like to understand that more. I'd also like to learn how to code. Everything we do is so dependent on it now. Especially working within the tech industry, having that level of knowledge will only make me a stronger leader and sales executive. I really liked The Four Obsessions of an Extraordinary Executive: A Leadership Fable. I like reading stuff like that because it's important for people to evolve and grow so you don't get stale and ineffective. There's always opportunity for everyone to grow, especially when you've been in an industry for a while and get used to how you do things. It's important to take a step back and evaluate to see if there's actually a better way to go about it.